We all understand how frustratingly slow broadband speeds are on Middlemore, what’s even more frustrating for many is that some of Middlemore can receive fibre and some cannot. Well today we have some good news! After months of continually hassling our contacts within the Superfast Project on behalf of the residents of Middlemore we can finally see some firm dates being agreed, this is the first step in a very long process, but we are getting there now. Once the cabinet is installed a lot of other work needs to be done, so this isn’t a quick process for example: Power needs to be installed, ducting has to be installed, fibre cable installed, then copper connections made to the old cabinet and many more things) we would therefore expect (subject to no further delays being incurred) that fibre broadband should be available by the end of September/October 2014 (dates are our “guestimate” based on other cabinets time-scales from installation to live – nothing is confirmed by BT/Superfast). We believe that this should cover all the existing housing, however some of the very new housing may be connected to yet another cabinet located on the industrial park which is not part of this planned update. 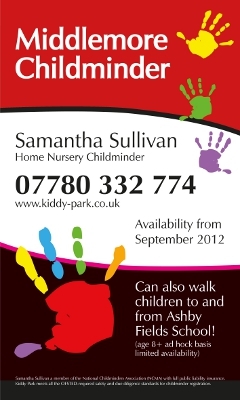 We will of course update you all as and when we learn any further details. Nice one. About time, looks like we’re hitting the super highspeed highway 8 weeks early. Yes, info is still correct. 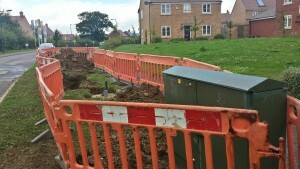 This work is being carried out via superfastnorthamptonshire using BDUK funding, so is not BT paying for the work, hence it isn’t shown the same on roadworks.org unlike when BT pay for the works. However, if you go to roadworks site, then on the top right menu, click advanced, then tick the box for “forward planning roadworks” you will see it. Thank you Tam, now I can see that. cant wait until all the work is done btw. Hi, I have just moved in to a brand new house next to Middlemore Farm pub and we are currently unable to get broadband due to our location. Will this new development mean that we should be able to receive broadband in the future? Also at the top of the results page it will list your cabinet number. Cabinet 49 is upgraded to fibre, Cabinet 51 will be later this year. No idea where cabinet 50 is though – if anyone knows, please post below or email us and let us know! Did the work begin at all ? I can’t really see any road works near the green cab on the claydon road. 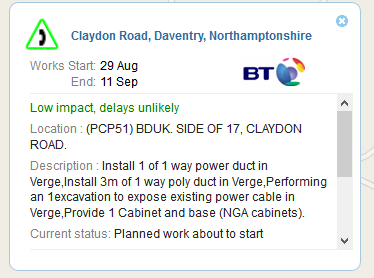 I have not seen any work yet either on Claydon Road, is this cabinet/upgrade really going to happen soon or are we just going to have to put up with poor 1meg internet if we’re lucky!??? We are looking to purchase one of the new Bellway homes at the back of Middlemore, does anyone know if they will be scheduled for fibre anytime soon? I will be working from home most of the time, so a decent connection is a must….I’m also interested to know if anyone has a 3G/4G router they use instead of standard broadband? As far as mobile data goes, I used to use my phone as a hotspot when I rented a flat on the older side of Middlemore and this worked really well. However since moving across to the new side my speed seems to be significantly slower (it is still faster than the landline download speed though …). I don’t think we have 4G signal in Daventry yet but someone may correct me if I’m wrong. Hope some of this information is useful. Cabinet 51 is the one you will probably be connected too (we only know of two on the estate 49 and 51). Currently you may get broadband, but it would be 2Mb maximum, more than likely 1.5 or 1Mb. 3G options are possible (no 4G coverage yet in Daventry) – I have o2 and EE – EE consistently provide me the faster service 6Mb – 12Mb down and 2Mb – 5Mb up. Cabinet 51 however is scheduled for a Fibre upgrade later this year. Yes… finally something poped up on the roadwork website. Now it shows that the work will be carried from 11th August to 22nd August. Maybe this time its right? How excited was I to drive home and pass a BT van with a cable reel attached to the back of it parked in claydon rd! Hopefully it means they have started! Well done for applying the pressure! Any update on this? Has the work commenced? Yes work is under-way, this is the photo of the cabinet today (01/09/14). Yeah i saw it yesterday!! Happy days! So ina nutshell what can we expect on Claydon Road? Does this mean we’re getting fibre optic or is it just an improvement on the existing line? Once complete houses connected from this cabinet will have FTTC service (Fibre to the cabinet). This is still copper to your house, so no change there, but instead of the copper going all the way back to the main Daventry exchange (a long way = slow speed) the copper only goes to this cabinet which then converts it to fibre – this means most users should see somewhere between 20Mbps and 80Mbps speeds, the closer you are the higher the speed. BT’s ADSL checker will show you the expected speed once it goes live and the checker is updated – keep checking on it in and when it shows as available you will be able to order. We will also do a new post telling everyone its now available also. Brand new and shiny cabinet is already there! 🙂 So happy to see this. Admin 3 if you were to guess or estimate the live date what month would it be ? Great – Thank you for the update. It appears that they are getting on very well, next step will be BT vans parked up running cabling between the two boxes and BT blowing fibre up the ducting from Cab50 at the entrance to the estate, although they may have already done that part already possibly. I’d guess, end of October but this is my personal guess only! I have no information received from any official source – there are still a number of things that can wrong so they hate giving any firm dates. im currently on a sky braodband package. will this work on the cabinet mean I will automatically get a boost in speed? or will i then need to upgrade to fibre? You need to upgrade to fibre, speak to your ISP once it is available to order (enter your number in the checker posted above to check). It doesnt seem to recognse my number for some reason. Perhaps its because Im not with BT? 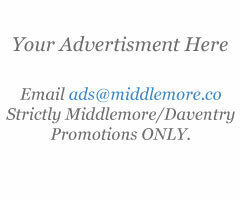 We will let you know via this web-site when you can order so I wouldn’t worry too much. You do not have to have your phone line with BT to get the faster service. Great news to see the new secondary box in place. I give it 12 weeks. Has anyone got any further info on when this new box will be up and running so we can all enjoy superfast broadband? I’m sure there is aloy of you out there like me who are tired of waiting and fustrated at our poor current speeds! Hi – Nothing yet, but we are chasing for an estimated completion date, as soon as we know we will let you know. Just to let everyone know I’ve just placed my order for BT infinity. Yay! The superfiber is available NOW ! Please add further comments if required on that post. Thank you for all your support in making this happen, without the initial demand survey carried out by NCC returning such high results for this area, this process would have taken much longer to get pushed through the roll-out upgrade program.